ACCORDING to the agriculture engineering department, issues in mechanisation of farm sector in Khyber Pakhtunkhwa range from small land holdings, meagre budget allocations, low funds utilisation to shortage of machinery pool and required services. “The major hurdle in farm mechanisation is the lack of coordination among farmers and the private sector together with poverty and ignorance of farmers, says Sardar Alam, a farmer from Swat. An official said though Rs60 million and Rs104 million were budgeted for the ongoing and new schemes respectively in the current fsical year, much of the funds remained unutilised for one reason or the other. “The department is still using the 22-year-old machinery that needs to be replaced immediately. For this, sufficient funds are needed. But the KP government has limited resources to cope with the situation,” the official said. On the strength of staff, he said, there were 1500 officials a decade ago. Since then, particularly after the 18th amendment, the number was reduced. Different offices and posts were abolished and the staff was sent to surplus pool. “There are seven machinery centres in Khyber Pukhtunkhwa, one each at divisional level. However, most of the 25 districts in the province do not have any such facility. The outdated machinery has not been replaced since 1992. The federal government had promised in 2009 to provide 100 bulldozers to the province, but the promise was not fulfilled,” the official said. At present, only 20 per cent farmers can afford to use modern machinery in cultivation and harvesting of crops. However, Mr Shafiq, director AED, said the situation was improving gradually as a number of schemes were being incorporated in the budget every year. He said the current year’s ADP had several ongoing and new schemes for improving mechanised farming in the province. “Amongst the ongoing schemes (2009-12), installation of 500 dug wells worth Rs150 million in areas facing water scarcity continues and would hopefully be completed by the end of the next financial year. Another project (2009-12) worth Rs100 million for land development of small farmers is in progress,” he added. However, according to the ADP document, only Rs5.5 million could be utilised by end of June last year, and only Rs10 million has been allocated for land development scheme this year. “A sum of Rs298 million has been provided for procurement of 25 bulldozers for land reclamation for which tender has been floated recently. It is hoped that purchase of bulldozers would materialise in the next fiscal year. These machines would help reclaim10,000 hectares annually. The government would also install three power winches with ancillary equipment for installation of tube-wells. Besides, funds had also been allocated for the construction of agriculture engineering workshop in Mardan, he said. However, the ADP document explains that Rs90 million out of the total fund of Rs567 million has been allocated for bulldozers which too could not be utilised. The tenders issued earlier this month means that the scheme would be carried forwarded to next financial year. The AED provides earth moving machinery to farmers for reclamation of cultivable wasteland and addition of cultivable land to enhance agricultural produce. It also helps exploit the surface and sub-surface water resources for irrigation by use of machinery. It offers free of cost counselling services on farm mechanisation and related problems. The government also uses its machinery in case of calamities like earthquake and floods. “The provincial government should procure agricultural machinery and provide it to the farming community on subsidised rates across the province. For this purpose, it will have to set up machinery pools in the district and at tehsil levels with transparent monitoring mechanism, says a farmer Zahir Khan from Peshawar. “These machinery pools could be set up on the basis of public-private partnership and extended at grass root level to villages. These machinery pools have long been promised by the government but not delivered,” he adds. SMALL farmers have very limited access to agriculture credit in Khyber Pakhtunkhwa. The worst-hit are the growers in the far-flung hilly and tribal areas. They continue to rely on informal sector for their needs for credit that keeps them in a vicious debt-cycle and poverty trap. The province accounts for only around four per cent of national agriculture credit disbursement. Whereas only six per cent of farmers in the province have access to agriculture credit against 21 per cent for the country. Various easy credit schemes, support price mechanism and subsidy regimes in the past were designed for small and medium size farmers, but only big landlords ended up as its beneficiaries. Small farmers got a raw deal in the existing 2005 agriculture policy as they could not provide collaterals for loans. Long credit approval and disbursement process, high mark-up and fewer lending branches are responsible for low agriculture credit in KP. “The formalities for any agriculture loan require lengthy documentation that take around two to four months to complete,” said a bank manager when asked on the process of lending farm loans. He suggested that small farmers should be given loans on personal guarantees. Group-based credit schemes are being followed by small banks but need to be taken up by main banks to improve credit disbursement ratio. Crop as well as life insurance is the best way to minimise the risk of farming community against losses and of banks against non-repayment. Shahid Khan, a Mardan-based farmer, held banks responsible for low level of agriculture credit in the province. “The banks avoid lending to farmers for fear of default. Much has been said about one-window operation but no bank has as yet come out with a fast track mechanism for credit disbursement. The banks must simplify their agriculture loaning system. Mobile credit officers should reach farmers at their doorsteps for credit delivery,” he said. Last year, the government had promised Rs1 billion seed money for easy farm and non-farm loans to small farmers from bank but only Rs200 million was released. This year too, only Rs400 million was expected. A borrower can avail a maximum unsecured financing up to Rs500,000 from banks as per prudential regulations. Also, under the revolving credit scheme, banks provide finance for farming on the basis of revolving limits for a period of three years with one-time documentation. Borrowers are required to clear the entire amount of loan (including markup) in the agreed time. Agricultural credit under the scheme can be availed against personal surety but it is seldom allowed. Under agricultural passbook system, banks are bound to allocate 70 per cent of their loans to subsistence farmers. Globally, various innovative lending techniques like group based lending (the Grameen model), self-help groups (Indian model), solidarity group (Latin America model), community based organisation (also called village banking) have been successfully applied, which have made lending affordable and easily accessible to small farmers, helping them to improve farm productivity. In group-based lending, small groups of farmers are formed by lenders involving 5-10 members having identical needs. Collateral is generally not required and a joint liability agreement/undertaking takes its place wherein each member takes the responsibility of the outstanding debt of all group members. In case of any change in the group, a fresh guarantee is signed by the members. A group coordinator acts as a facilitator of the group and agent of the bank. The bank ensures that group coordinator is executing the assigned tasks as prescribed like liaison with members, arrangement of meetings, etc. and if need be replace him, with consensus, in case he fails to deliver. Group members ensure that the bank receives timely repayments from the borrowers. If a borrower dies, liability lies with the remaining group members. However, life insurance could safeguard the interests of both the borrowers and lenders. Eligibility criteria for borrowers are: not more than 12.5 acres land (tenant or lessee) or 40 sheep, computerised national identity card, residence in the village and membership in the village organisation. The minimum credit limit is Rs20,000 and maximum Rs200,000. Farm loans are repayable as per production cycle of crops. For non-crop activities like livestock farming, repayment period is three to five years. PESHAWAR: FARMERS in the Malakand division are hoping a bumper maize harvest this season in the wake of favourable weather condition and the lifting of an unannounced ban on the cultivation of the crop imposed by security forces in 2009. The Malakand division accounts for 32 per cent of the crop in the province. Nasrullah Khan, a progressive farmer from Buner, said “There are no more restrictions on maize cultivation. The crop remained safe from rains and winds. We are hoping to get a bumper crop in the district with per acre yield of up to 3,200kg in some areas,” he said. Muhammad Naeem, another progressive farmer and ex-head of the Model Farm Services Centre in Swat, endorsed Khan’s views. Local farmers hope per acre yield of up to 2,000kg from farm seeds and around 2,500kg from hybrid seeds in the area, which is the norm here,” he said. However, in low/plain areas of the province like Peshawar, Swabi and Mardan, according to farmers, maize crop was damaged first by shortage of water and rain and later by torrential rains. However, officials rule out any damage to the crop from these factors. Haji Niamat Shah, vice-president of Anjuman-e-Kashtkaran KP, said the most suitable time for maize cultivation in the plain areas of the province was between March and May though it can be sown till July. “But there were no rains and the supply of water was too scanty to cater to the needs of maize and sugarcane crops. That was why the farmers didn’t cultivate maize until cane was harvested by end of April. Time is of importance as delay in cultivation reduces per acre yield day by day,” he added. “Maize requires regular watering but cannot survive its excess. The crop was damaged later when it rained heavily and water stood in the fields. The subsequent rains also caused growth of weeds in the crop. The crop also needs proper quantity of DAP and urea intakes. But as prices of these fertilisers more than doubled during this period, these remained mostly unaffordable by poor farmers,” he added. About 40-50 per cent of the crop across the province might have been lost to these factors, he said. To get the official version, this scribe tried to contact director general agriculture extension KP but he was not available. However, an official from Mardan agriculture department rejected Shah’s assertions and termed it an exaggeration. “We provide hybrid seeds as well as technology. We had told farmers to cultivate maize either before 45 days or 15 days before the rainy season so that maize flowers are not damaged by winds or rains and the yield is better. Those who did not follow our advice and making no arrangements for draining out surplus water from their fields might get some of their crops damaged by excess water but that would only be known when the crop was harvested, he said, adding there were no major negative reports from any area in the district and a good crop was expected. Khyber Pakhtunkhwa produces around 0.8 – 0.9 million tons of maize per year. According to an estimate, Punjab and KP account for 84 per cent of the total maize production and 95 per cent of the maize cultivation area. But while per acre yield of the crop in central Punjab has gone up to 4,600 kg, it is generally between 700-1,200kg in KP. This is disappointing when that two locally developed hybrid maize varieties Babar and Karamat have yielded up to 4,800kg per acre in research farms. KP’s share in countrywide maize production has been on the decline — it accounted for 68 per cent of the total maize production in 1996, down to 28 per cent in 2006. The maize farmers in KP have remained far behind their counterparts in Punjab. According to a Swabi-based farmer Hameed Khan, the per acre yield in Punjab is higher because they use first generation (F1) seeds, do mechanised farming, apply latest production methods and have started commercial farming. “But in KP, farmers lag far behind on these indicators and use mostly second generation (F2) or even third generation (F3) seeds. And it is known that yield from F2 declines by half while from F3 comes to less than 1/3rd of the F1 potential,” he says. “Another advantage enjoyed by Punjab farmers is comparatively bigger land holdings and good financial position. They can invest more in standard seeds, fertiliser use and latest farming technology. Through efficient crop rotation and modern agriculture technology they have made it possible to grow three crops while in KP, despite potential, mostly two crops are grown,” he adds. Farmers in the Malakand division hope for a bumper maize crop in wake of favourable weather and the lifting of an unannounced ban on the cultivation of maize imposed by the security forces in 2009. Good yield in the area could boost maize production considerably as Malakand division accounts for 32 per cent of provincial maize production. A bumper crop besides increasing farmers’ incomes will also provide cheaper maize flour to the people, favoured by them for its warm effects. Nasrullah Khan, a progressive farmer from Buner, said there were good prospects for the maize crop in the district this year. “There are no more restrictions on maize cultivation. There have been damages neither by rains nor winds. We are hoping to get a bumper crop in the district with PAY of up to 3200kg in some areas,” he informed. And Muhammad Naeem, another progressive farmer and ex-head of the model farm services centre in Swat, seconded his views and said maize yield in the area will considerably increase as farmers face no curbs on maize cultivation this year. Local farmers eye PAY of up to 2000 kg from the farm seeds and around 2500kg from hybrid seeds in the area, which is the norm here,” he said. However, in low/plain areas of the province like Peshawar, Swabi and Mardan, according to farmers, maize crop has been damaged first by the lack of water and rain and later by excess of water due to torrential rains though officials say there is no threat to the crop from these factors. Haji Niamat Shah, vice president of Anjuman-e-Kashtkaran KP, said the most suitable time for maize cultivation in plain areas of the province was between March-May though it can be sown till July. “But there were no rains and the supply of water was also insufficient to cater to the watering needs of sugarcane crop and maize simultaneously. So, the farmers didn’t cultivate the crop until sugarcane was harvested till the end of April. Time is of importance as delay in cultivation decreases per acre yield (PAY) day by day,” he said. “Maize requires watering regularly but it also cannot survive excess of water. Later when it rained heavily, the crop was damaged by the heated water standing in fields. Heavy subsequent rains also caused growth of unnecessary weeds in the crop. Then, maize also needs proper amount of DAP and urea intakes whose prices have more than doubled during this period, thus becoming mostly unaffordable for the poor farmers” he added. According to him, about 40-50 per cent of crop across the province might have been lost to these factors. To get the official version, this scribe tried to contact director general agriculture extension KP but he was not available. However, an official from Mardan agriculture department rejected Shah’s assertions, dubbing it as an exaggeration. “We provide hybrid seeds as well as technology. We had told farmers to cultivate maize either before 45 days or 15 days before the rainy season so that the maize flowers are not damaged by winds or rains and it yield better. Those who have not acted upon our advice and haven’t made arrangements for draining out surplus water from their fields may get some of their crop damaged by excess water but that will only be known when crop is harvested and not now,” said the official adding that there are no big negative reports on maize from any area in the district and a good crop is likely to be harvested. Similar views were expressed by a Nowshera based official though he conceded crop in some low areas might have been damaged due to excess of water as farmers are generally oblivious to drainage system in the fields. KP produces around 0.8 to 0.9 million tons of maize annually. According to an estimate, Punjab and KP account for 84 per cent of the total maize production and 95% of the maize area. But while PAY of maize crop in central Punjab has gone up to 4600 kg, it is generally between 700-1200kg in KP. This is disappointing when viewed in the backdrop of the fact that two locally developed hybrid maize varieties-Babar and Karamat- have yielded up to 4800kg per acre in the research farms. KP’s share in countrywide maize production has been on the decline – it accounted for 68 percent of total maize produce in 1996 which decreased to 28 percent in 2006. Maize farmers in KP have remained far behind than their counterparts in Punjab and they need to take advantage of the expertise of their Punjabi brethren for their financial prosperity and food security of the people. According to a Swabi based farmer Hameed Khan, PAY in Punjab is high because they use first generation (F1) seeds, love mechanised farming and use latest production methods and have started commercial farming. “But in KP, farmers have lagged far behind on these indicators. Farmers use mostly second generation (F2) or even third generation (F3) seeds here. And it is known that yield from F2 declines by half, that of F3 comes to less than 1/3rd of the F1 potential,” he says. “Another advantage enjoyed by the Punjab farmers is comparatively bigger land holdings and good financial position. They can invest more in standard seeds, fertiliser use and latest farming technology. Efficient crop rotation and modern agriculture technology there have made it possible for them to grow three crops while in KP, despite potential, mostly two crops are grown,” he adds. The absence of support price mechanism, of official purchase centres and of maize processing plants in the province have discouraged farmers to invest more in maize cultivation. There are two ongoing schemes from the financial year 2009 in the annual development programme: One, for adaptive research on new hybrid maize varieties worth Rs44mn; and two, maize hybrid seeds production through public private partnership but slow pace of the schemes is mitigating their impacts. Both the public and private sector need to be proactive and establish seed laboratories and introduce new drought/air resistant maize seed varieties to increase maize production. FARMERS in Khyber Pakhtunkhwa are not satisfied with the lacklustre wheat procurement exercise and want it to be stepped up. The province has recorded around 10 to 15 per cent increase in wheat production this year. According to Abdur Rahim Khan, general secretary Khyber Pakhtunkhwa Chamber of Agriculture, the list of wheat procurement centres and its procurement mechanism has not yet been announced. “The government should open procurement centres at tehsil and union council levels at the earliest,” he said. He said the farmers would benefit only if the government purchased their produce directly from the growers rather than leaving them at the mercy of the middlemen. Khan alleged that the food department purchases wheat mainly from the middlemen. “The officials purchase the commodity from the middlemen for minting money. When growers go to sell their produce to it, numerous defects are pointed out in their crop; they are discouraged and compelled to approach the agents and sell their output at rates lower than the procurement price of Rs950 per 40kg,” he added. “Farmers have to take their grains to procurement centres at their own expense. They also have to wait for quite some time for an opportunity to get their crop assessed. After 2 pm the officials leave for their home and the farmers have to arrange a watchman to guard their produce against theft. Their grain usually lies in the open unsafe from rains and pests. It is in this backdrop that the farmers often prefer to sell their produce to private buyers for easy and swift deal at rates four to five per cent lower than the procurement price,” he said. “I fail to understand why officials do not purchase wheat from growers at their doorstep when they cannot provide speedy procurement services to them at the centres,” he argued. Talking to this scribe, provincial agriculture minister Arbab Ayub Jan said his department was not involved in the drive and therefore he didn`t know much about the process. “But during my recent visit to DIK, I found the growers complaining a lot about the wheat procurement mechanism. I noted their complaints and have sent a note to the chief minister about this,” he said. Ironically procurement drive is the work of the food department in all provinces, and the agriculture department has nothing to do with it directly. According to Murad Ali Khan, president of the KP Kissan Board, there should be more procurement centres. “The mechanism for wheat procurement should be made easy. The agriculture department should enter into contracts with farmers as in the case of tobacco crop. Farmers` bodies should be involved in the process,” he said. Haji Nimat Shah, another farmer leader, said that lack of transparency and accountability in procurement has certainly exposed the farmers to profiteers. The province needs about Rs9.5 billion for its total wheat procurement target of 0.4 million tons. It usually faces financing problems. On May 5, the Bank of Khyber signed a memorandum of understanding with the provincial food department and agreed to provide Rs7.5 billion for wheat procurement for the current season as compared to Rs5 billion sanctioned last year. The provincial government has never been able to achieve its wheat procurement target due to a small number of procurement centres, financing problems and extensive role of the middlemen in the wheat market. “The shortage of public procurement centres and storage facilities hamper attempts to meet annual wheat procurement targets,” an official agreed. In 2008-09, the provincial government had slashed the target from 0.3 million tons to 0.1million tons and had actually procured about 0.090 million tons. The support price system does not benefit the poor farmers as they cannot carry their produce to sell at the procurement centres. They either sell their crop at prices lower than the support price or consume it themselves. Khyber Pakhtunkhwa usually depends for over 3/4th of its annual wheat requirements (over three million tons) on Passco, the Punjab government or imports. Insufficient production and lesser direct procurement exert huge financial burden on the provincial exchequer on purchase, transportation and subsidy of wheat. The province usually has a yield of about one million tons a year.It needs about 2.5mn tons at an estimated cost of about Rs59 billion while the incidentals alone for cost around Rs16bn, reveal official documents. Direct procurement can save around Rs6,000 per ton. This year the direct procurement will help save over Rs2 billion for the cash-strapped province. It had saved Rs540 million in 2008-09 by purchasing around 90,000 tons directly from farmers. Inadequate storage capacity also hampers meeting the procurement target. The food department has a storage capacity of about 0.38mn tons. About 80 per cent of procured wheat will be stored in open godowns or in rented warehouses. The government hires private godowns but not many is ready to let warehouse for meagre rent. The standing committee on food of the KP assembly had last year asked the government to construct wheat storages in all the districts of the province, but. Apparently with no results. The government must construct modern silos and build godowns to augment the existing storage capacity. With the construction of more godowns and modern silos, waste of grains will considerably come down and procurement will become easy. The agriculture sector has not received the priority it deserves, despite the fact it accounts for over 20 per cent of provincial gross domestic product, accounts for 45 per cent of total labour force and about 80 per cent of Khyber Pakhtunkhwa population is dependent on it for its survival. MUSHROOM can be cultivated anywhere in Khyber Pakhtunkhwa but it is more convenient to sow it in areas where tobacco is grown. Thousands of tobacco barns lie mostly unused from October to June every year which can be used for cultivation of mushroom. The timing for the use of tobacco barns is ideal for two reasons: first, they are vacant and can be used without any damage to the next crop. Second, the crop requires temperature between 22-27 degrees Celsius and humidity of around 80 per cent, which prevail during that period. The Pakistan Tobacco Board (PTB) has also started a project for cul- tivation of mushroom which will be promoted among farmers from next year. “Farmers in Khyber Pakhtunkhwa have lagged far behind their counterparts in Punjab. The latter are earning more money from their modernised and efficient farming practices and for utilising their agriculture infrastructure to the maximum. For example tobacco farmers in Punjab grow cucumber and green chillies in winter and earn a lot of money. Unfortunately, Khyber Pakhtunkhwa farmers are either too ignorant or poor and not interested in doing that. They can earn a lot by opting to mushroom cultivation in their barns during the interval,” said a PTB official. “We will provide technical support, guidance and spawn initially for growing mushroom to tap the potential and enable tobacco growers to increase their income,” he said. “The PTB will provide seed to the farmers for the first time and then they will be asked to develop the spawns themselves for their use. Farmers will also be provided training and guidance on how to grow the plant, ” he added. Farmers are generally ignorant about mushroom seeds and know-how to grow oyster or button variety. Guidance on the crop and provision of its spawns (seeds) to farmers could attract multitude of farmers to the sector. The ingredients needed for the crop are easier to get. Mushroom spawn, two kg quality substrate (wheat straw) and two per cent lime, a plastic bag and clean water are all that is needed for growing mushroom. Mushroom requires little space, consumes little time, does not need hard work and can be grown even by women and children. It requires small investment. Its seed in a bag costs around Rs30 which grows in three months. An ordinary barn can provide around 30-50 bags, and with this investment a farmer can earn Rs1000-Rs1500 per bag. Mushrooms have both nutritional and medicinal values. Being a good food for patients of heart disease, blood pressure and eyesight, mushroom can be used as a diet for common man and in soup. It can also be marketed to save foreign exchange spent on import of canned mushroom. Mushroom has been found to have greatly augmented milking capacity of livestock in the province. Its residues are also a major organic fertiliser. The fungus apart from being a major organic food, is a rich source of protein and can be used as a substitute for protein-providing foods such as meat which is increasingly becoming costlier and unaffordable for the middle-class. While growing mushrooms, sufficient amount of water, oxygen and darkness is needed. Sterilisation of the compost before spawning is another prerequisite which prevents it from poisoning. The spawning process completes within 40-45 days. After a week, production starts which continues for three months. 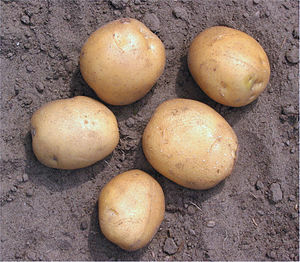 In case of button variety, the compost is ready within a month while the oyster`s compost takes a week for germination. This spawning component can also be used as seeds and a spawn bag gives 25 bags of mushroom seeds. Marketing of the commodity is another problem. The farmers have no access to and information about the buyers. There are many buyers in the market but irregularity in supplies spoils things. Recently a five-star hotel showed interest in mushroom purchase agreement but it wanted regular supplies and good quality. This can be sorted out by ensuring coordination between growers and purchasers on the one hand and the farmers on the other. “By developing mushrooms farmers` and buyers` database, the problem of marketing the produce can be solved to the advantage of the stakeholders. We are hopeful that big chain restaurants will themselves contact the producers for the commodity,” the official said. “Purchase centres can be opened in the districts where information can be provided to the stakeholders on the demand and supply situation of the commodity in the market to facilitate business,” the official added. Mills raise cane rates to ensure supplies. affected by floods and militancy. the Italy’s debt swap grant. According to a PRRSA official, the programme is improving the lives and incomes of the households in the target areas. about 159 per cent from 1,588 to 3,959,” he said. fertilisers to farmers of our 3,000 target,” he added. also in progress,” he said. plant production target has also been met. hectares against the targeted 2,200 hectares,” the source said. will also be installed,” he informed. solved,” added a farmer Naeem. aspects and recommendations of technical experts. Agriculture was badly affected by years of militancy and the devastating flash floods in July last year in the region. Rs2.2 billion losses for fruits and Rs2.8bn for vegetables in the area. The DNA had envisaged Rs22 billion for rehabilitation of agriculture, livestock and irrigation sectors in the area. .
methodology was adopted for this project,” he maintained. A $10 million early recovery of agriculture and livestock programme has been launched in the Malakand division for the benefit of farmers affected by floods and militancy. The programme, initiated in October 2010 and to be completed by October 2011, is being implemented and monitored by the Provincial Rehabilitation, Reconstruction and Settlement Authority (PRRSA) with the Italy’s debt swap grant. “Within three months, the programme has helped restore and increase community-government liaison, revitalised village organisations (VOs) in the project area, restored and strengthened inputs supply chain, increased the number of farmers in model farm services centre (MFSC) by about 159 per cent from 1,588 to 3,959,” he said. “In two batches of the programme for revival of commercial poultry farms, three female and seven male farmers, earned about Rs12million by investing Rs10 million. In maize crop, one Sheerin from Miandam, Swat, increased per acre yield by about 163 per cent enhancing earning from Rs48,000 to over Rs1,28,000. In pea crop, Gulshan and Ali Rehman of Miandam increased their incomes from Rs13,700 to Rs75,000 and from Rs11,800 to Rs53,000,” the official added. “For the first half of the project which ends in March 2011, we had a target of forming or revising 60 VOs, but we have formed 90 bodies so far. We intended to provide, inter alia, maize, pea and onion seeds to 6,600, 2,700, and 2,000 farmers respectively. We have given seeds of these crops to 3,200, 2,700, and 660 farmers in that order already. We provided 235 tons of wheat seeds out of 300 tons and gave 1,300 tons of fertilisers to farmers of our 3,000 target,” he added. “In the livestock sector, the project intended to provide 12,500 poultry units to women farmers but instead 4,600 were provided with the poultry. As against the plan to vaccinate 13,500 animals, 15,000 were vaccinated. Establishment of 50 water conservation ponds in the area is also in progress,” he said. “In the forestry sector, against the target for setting up of 17 private forest nurseries, 22 were opened. The 2.1 million of the forest plant production target has also been met. Working on 81,000 olive trees against the target of 200,000 has been done. However, community plantation has been carried out at only 84 hectares against the targeted 2,200 hectares,” the source said. “We will be giving 400,000 fruit plants and 10,000 and 500 hand/power sprayers to farmers and opening 20 private fish farms in the area. Some 50 farmers’ field schools and 12 each agriculture/livestock extension workers training centres would also be set up. We would also be rehabilitating 100km long irrigation channels. Ten biogas plants will also be installed,” he informed. By providing farm inputs, agricultural technology, poultry and livestock to the affected farmers in selected parts of Malakand division – Kabal, Matta, Charbagh, Khwaza Khela tehsils of Swat and Dok Dara union council in Upper Dir- ERALP, the project aims at restoring food security of the area people at household level, help recover the pre-crisis level of agriculture production and improve the capacity/incomes of the poor families, especially of women, landless and vulnerable people through income generation activities, reforestation, orchard management and rehabilitation of irrigation system in the area. “By improving their incomes through delivery of better tools, inputs, knowledge and market access, not only their poverty can be reduced but the problems of food security and food inflation can be solved,” added a farmer Naeem. Ms Sara Rezoagli, an official of the Italian embassy, has promised that the project could be extended after reviewing its financial aspects and recommendations of technical experts. The post-militancy damage needs assessment report had estimated Rs2.2 billion losses for fruits and Rs2.8bn for vegetables in the area. It also revealed that 75 per cent of the livestock population has been lost in the region. Bakht Biland Khan, general secretary of MFSC, Swat, was sceptical of any positive impact of the programme. “VOs might have been formed but most were already functioning at village levels and didn’t comprise farmers necessarily. I cannot confirm or deny whether any inputs, support and training has been given to VOs in other areas but the VO in my village Dagai, Kabal, has not been given anything during the last few months,” he said. “PRRSA in June last year had distributed maize and pea seeds besides providing wheat seeds and fertilisers through the extension department and MFSCs. The extension department officials also worked better. I am at a loss to understand as to why the good process of working through the extension department and the MFSCs was given up and new independent methodology was adopted for this project,” he maintained. THE dearth and rising prices of fertilisers could adversely impact cultivation of Rabi crops, especially wheat and vegetables in the province, say farmers in Khyber Pakhtunkhwa. Low DAP and urea consumption, according to them, would lower wheat acreage and per acre yield. Growers have demanded of the government to withdraw general sales tax on fertilisers to bring down the prices and to restore the erstwhile public stores at districts level for easy availability of farm inputs. According to Gul Nawaz Khattak, chief planning officer of provincial department of agriculture, the total off-take of urea and DAP for Rabi season is around 250,000 and 150,000 metric tons respectively. The price of one bag of DAP has jumped by around 25 per cent while some other fertilisers have registered bigger increase. Haji Niamat Shah, vice-president of the Anjumen-i-Kashtkaran, Khyber Pakhtunkhwa, said the price of DAP has gone up to Rs3,300 from Rs2,600 per bag. Consequently the farmers will have to bear an additional burden of over Rs2 billion on DAP alone. And if the average increase of Rs100 per bag in urea prices is taken into account, it will require an extra payment of Rs3 billion, he said. He lamented that the farmers` community was hit by high prices and fake, substandard and under-weight varieties of fertilisers that were badly affecting agricultural productivity. “Printed fertiliser bags of quality products are available in tribal areas and the unscrupulous fertiliser traders are stuffing them with fake fertilisers and selling them in the market, which is adversely affecting agricultural yield and harming farmers financially and damaging productivity of their land,” Shah said. “The government will have to ensure availability of quality fertilisers to the farmers. The role of public sector needs to be expanded to bring prices down and eliminate the role of fertiliser mafia which has been minting money. This is vital to save the money, time and hard work of farmers from going waste,” said Ghulam Hussain, a farmer. Shah said the government should ponder as to why the commodity disappeared from the market when it was direly needed. “The fact is that the government has failed to check hoarding and smuggling and ensuring quality and weight of the commodity,” he said. Prices of the commodity have registered manifold increases ever since the sector was deregulated, farmers say. They want regulation of the sector or some mechanism that could save farmers from artificial shortage and resultant hike in prices..
“Various mechanisms adopted for smooth supply of the commodities, like utility stores, MFSCs and private dealerships, have miserably failed. Therefore, there is a need to restore the old mechanism of governmental stores in the districts. Officials, farmers` representatives and other stake holders should sit together to work out a viable solution to the problem. The agriculture department has sufficient staff, resources and capability to ensure timely availability of quality fertiliser. The private sector handles about 90 per cent of urea and 100 per cent of DAP. This equilibrium needs to be tilted on the public sector,” Shah argued. Noor Rehman, another office-bearer of the AK, said village/union council- based old distribution is the only way to resolve the problem. “The province should also negotiate with fertiliser companies to devise a price mechanism for DAP in their respective domains as urged by the federal industries minister recently,” he added. Khatak said under the Fertiliser Act, officials of the agriculture department were authorised to check and monitor the supply and quality of the commodity in the local market. “We conduct routine and monthly surprise visits throughout the province. If anyone is found guilty, first information report is lodged against him and he is arrested. If convicted, his dealership is cancelled and he is blacklisted for good,” he added. “Despite our demands and ban on export of fertiliser, 10,000 to 20,000 bags of DAP and other fertilisers are smuggled to Afghanistan. And more lamentable is the fact that while urea price is around Rs650 per bag there, it is being sold at Rs1000 per bag here in the province,” said a farmer. Being a de-regulated industry, prices of fertilisers are determined by the forces of demand and supply. But farmers allege that while importers quickly pass on the increase in prices to consumers, it has been witnessed that farmers are mostly given little benefit for cut in international prices. The government in November 2010 announced that total availability of urea and DAP fertilisers would be 3.4 million tons and 799,000 tons which would be sufficient to meet the local requirement and hence there was no need for imports. But then in first week of this month, it said, imports were needed. The federal government will import 0.25 million tonnes of urea and 0.23MT of DAP but the stocks will not be available before March which will certainly cause shortage of the commodity in the market, leaving the farmers at the mercy of hoarders and profiteers. National Fertiliser Marketing Limited`s total storage capacity is just 180,679 metric tons. It cannot import enough fertiliser for shortage of space. The government needs to augment the storage capacity besides opening its more bulk stores in central and southern parts of Khyber Pakhtunkhwa as there are only two such stores at present. The private fertiliser companies should ensure a strict supervision of their dealer network. This, of course, should be done when the dealers are provided enough stock of the commodity. The prevalent drought has more forcefully reminded the policy makers in Pakistan what has been earlier established by this July’s devastating floods: that the country should build more water reservoirs to accommodate the rain/floods water sooner rather than later. It has also underscored the need for utilising the waste-water resources for irrigation purposes to guard against the danger of having rain-fed areas without crops in case of drought as is being witnessed. The devastating flash floods have inflicted huge losses of about $10bn to the national economy. But if we learn from this calamity and become vigilant to volatile climate hazards by taking some measures, the calamity will be turned into an opportunity for development and prosperity. The situation is even dismal for Khyber Pakhtunkhwa where non-irrigated land accounts for over 50 percent of wheat acreage. The irrigated wheat area there is usually is around 0.8 million acres and the rain-fed area is over 1 MA. With only a few days left in wheat sowing season, Khyber Pakhtunkhwa is likely to miss its wheat sowing target of around 1.8mn acres this year. Gul Nawaz Khatak, the chief planning officer of ministry of agriculture in Khyber Pakhtunkhwa, said most of the wheat-specific southern districts like Laki Marwat, Tank, Bannu and Dera Ismail waited for rains, saying the rain-fed areas could have been cultivated had there been rain. “Even if it rains till 20th of December, it will make sowing possible. Otherwise the area will be left without wheat this year. As of now only those areas in non-irrigated lands have gone under wheat cultivation that had some moisture in it. If there is no rain, wheat target will be affected by about 10 to 12 per cent,” he said. This inability to sow wheat due to lack of water at the provincial and national level, means farmers’ poverty, debt cycle for them, food inflation and food security problems. But it will also have serious financial repercussions for the cash-strapped provincial and national kitties. A loss of one million tons of wheat cost a whooping Rs24bn of exchequer. The province is expected to lose around 0.5 million tonnes and its woes would be further increased by this loss. Khyber Pakhtunkhwa has already sustained a loss of around Rs200bn for floods and another Rs300bn for militancy shocks. Secretary irrigation Khyber Pakhtunkhwa Muhammad Ashfaq Khan said the irrigation sector has suffered a loss of Rs11bn in floods. “As international donors and the federal government has not provided us the funds for reconstruction so far, we have decided to suspend our annual development programme and diverted funds to reconstruction efforts,” he says. “Khyber Pakhtunkhwa, for lack of infrastructure, is unable to utilise 3.28MAF of its share of water as per the 1991 accord. This is why new dams and canals are required in the province,” he adds. An official said due to droughts the provincial seeds industry could sell only three of the target of six thousand tonnes seeds to farmers. “The situation is indeed very dismal this year. You know wheat can be sown till January but delay from December onward brings per hectare yield down considerably. The per hectare yield in the province already lower than rest of the country, it is not a good omen for the food deficient province,” he said. He says the government would give around 1600 metric tonnes of the left over seeds to farmers free of cost now. The cost will be borne by a Kuwait based NGO. “By giving this residue of seeds to farmers, not only the farmers will get relief but if utilised, its expected production will be around 42000 metric tonnes. This will help reduce the gap between the wheat target and actual acreage,” the official says. The land under wheat cultivation in Khyber Pakhtunkhwa is 1/5th of the 2.75 million hectare total cultivable land in the province. This needs to be increased. “The government must increase per acre yield, bring more land under cultivation and ensure mechanised farming and bigger land-holdings,” Shah says. “This is why province badly needs the construction of promised but delayed/denied Chashma right bank canal’s lift scheme. This will irrigate 0.3MA of land. This will make the province food sufficient but it will also be in a position to export wheat,” Shah argues. Khyber Pakhtunkhwa is dependent for 3/4th of its annual wheat requirements of 3.73 million tonnes on Pasco, Punjab’s government or imports. Ghulam hussain, a farmer said first they faced shortage of seeds at the beginning of the sowing season and also DAP went out of the market. Later prices of fertilizers surged. How can we achieve the target when each and every input is scarce or costly,” he says. “The climate change scenario was an established phenomenon for which the researchers and the government should try to introduce air/drought/ high temperature and excessive rainfall-resistant varieties that could resist the vagaries of the weather and yielded more grain,” Shah says. “The yield per hectare has reached to over 5000kg in China, but we still have about 2400kg per hectare in the country and still lower in the province,” he adds. The provincial government has prepared detailed designs, feasibility study, pre-feasibility report of around 100 new small dams. The federal government should finance these and the Kurram Tangi dam, Munda dam and some other dams and rivers advocated by the provincial irrigation department. Reservoirs for rainwater should also be built. This is vital for Khyber pakhtunkhwa as 49% of cultivated area is rain-fed. IT is not a good sight that the yard of Asia’s biggest sugar mill –the Premier Sugar Mill, Mardan— and roads surrounding it, that would have mile-long queue of cane-carrying trolleys and trucks a few years ago, has only a few of them. The mill is getting a paltry supply of cane. Officials at the PSM say they increased the price of cane and ensured prompt payment, expecting that the two measures would improve cane supply position to the mill but the growers did not respond. They maintain that the PSM increased cane price from support price of Rs125 to Rs240 per 40kg to receive better supplies. Masood Khan, cane manager at the PSM, said increase in cane price had not boosted supply of cane to the mill as expected. “Farmers wanted prompt payment and good returns on the crop. We have increased the price and are paying them within three days. But still the supply is not enough to run the mill. “Our cost of production per kilo has increased to Rs75-78, which means sugar should be sold at Rs80-85 per kg. However, the prices are coming down, making the position of mills unstable,” he added. According to him, less supply of cane means intermittent running of mills, which increases cost of production, especially in the event of higher prices to farmers, high wages offered to employees, burgeoning fuel prices and various taxes. “Conversely, gur has no such taxes and burdens. Why won’t it compete with us? Its prices have increased tremendously and it is sold around Rs80-90 a kilo. To enable us to compete with it, we must be given subsidised fuel, power and relief in taxes. Or else gur making should be banned altogether,” he argued. Haji Niamat Shah, senior vice president of Anjuman-e-Kashtkaran, Khyber Paktunkhwa, also said the government should announce a relief package and a rebate in taxes for Khyber Pakhtunkhwa sugar industry. Abdur Rasheed, another official at the PSM, said the mill would daily crush around 100,000 maunds of cane five years ago but it was crushing only 20 per cent of the quantity these days. Welcoming increase in cane price, Shah hoped farmers would grow more cane next year. Increased price would ensure the pledged and continuous crushing at the mills producing more sugar, save jobs of thousands of mill employees, who are laid-off when mills are closed, and help reduce prices of sugar in the country,” he said. The new price would appeal farmers who make gur through rented gur-ganees. “But I think those with their own gur-ganees will still feel like making gur from their crop,” he opined. “The new price may not improve cane supply to mills but it speaks volumes of the government’s indifference and lack of information on the ground situation. Look at the price fixed by the government and the one offered by the mills,” said a farmer. The estimated production of sugarcane in Khyber Pakhtunkhwa is 1.3 million tons. It can produce up to 100,000 tons of sugar if farmers start bringing their crop to mills for crushing instead of making gur. Ban on movement of gur to seven federally-administered tribal areas and their six provincial counter parts have caused a fall in its demand and as a result the prices have come down by about 20-30 per cent, but farmers are still going for it. The gur-makers are alleged to have purchased standing crops from farmers and made advance payments to them for the gur they produce, according to a source. According to him, generator-run modern gur-ganees are consuming cane faster than in the past. To get adequate supplies, the sugar millers will have to enter into contracts with farmers for purchasing their crop at fixed/better price, and a surety for prompt even advance payments before or after cultivation, but much earlier than harvesting. There should also be a minimum price for certain fixed sugar-content, but farmers should receive a premium price for more sugar-content in their crop. Investment in research for better varieties of sugarcane and improvement in per acre yield with better sugar recoveries is also required. Pakistan is the sixth biggest sugarcane producer in the world but is ranks 15th both in cane and sugar yield. DAWN.COM | Economic & Business | Encouraging sugar beet cultivation. IN the wake of irrigation water shortage and declining cane yield, sugar beet cultivation offers a substitute as it requires less water, matures earlier, is less susceptible to diseases and gives higher per hectare sugar yield than cane, officials and farmers say. Sugar beet is used as a vegetable and its pulp as animal fodder in Khyber Pakhtunkhwa. The crop also has helped run sugar mills that usually faced cane shortage when farmers preferred to make gur of the cane. Sugar beet was an important cash crop in KP, especially in the districts of Mardan and Swabi in the past but the crop has suffered for lack of incentives. There are no official figures available on sugar beet acreage and yield in KP, but sources say it has come down to around a few thousand acres as against hundreds of thousands in the past. “In not so distant past, the sugar-mills in Khazana, Charsadda, Takht Bhai and Mardan were crushing sugar beet. But the first three mills have now stopped crushing beet. Only Mardan Sugar Mill is crushing the crop and providing sugar beet seeds to farmers,” said Haji Niamat Shah Roghani, senior vice-president of Anjuman-e-Kashtkaran, KP. With high cost of per acre yield, closure of beet-processing plants coupled with low returns by mills, farmers gradually lost interest in sowing beat. It is time the government encourages millers to increase beet price to attract farmers to grow the crop. The sugar millers are reluctant to invest in beet processing plants because of non-availability of raw material, fuel shortage and lack of expertise and technology. There is a need for the government to offer incentives to the mills. “The federal government must waive all duties and taxes on sugar made from beet. This would enable mills to pay lucrative prices to the farmers for their crop, said Shah. “Agriculture research institute in KP should develop quality beet seeds for different climate areas of the province. Increase in acreage and per hectare yield of beat will result in more sugar yield and increase farmers’ income. It can also provide livelihood to thousands of daily wage earners who are laid off after cane crushing season is over as beet crushing soon starts after cane. If billions of rupees can be spent on sugar imports, why not a few hundred millions on reviving the sugar beet crop,” he asked. The government should encourage farmers to first sow beet on trial basis by offering them free farm-inputs and crop insurance to build their confidence in the crop,” he said. The provincial governments should encourage the requisite technology shift for the existing mills from cane to beet and consider setting up new sugar beet mills,” it reads. “Because of non-availability of bagasse, the processing of beet is economical together with sugarcane but not alone. It has high cost of sugar production that would further raise sugar prices by Rs5-6 per kg. The cost can be reduced if local coal is used for the purpose. Again, Pakistan would have to raise cultivation and productivity of sugar beet to ensure its consistent supply to mills and increase crushing capacity of sugar mills up to 2,000-2,500 tons. The costs can also be compensated through its by-products – beet pulp and molasses,” opined Shah. “Minfa has already suggested that Pakistan should enter into the area of production of industrial alcohol and gasohol. Converting molasses into industrial alcohol is what needs to be done sooner rather than later” said the official. Sugarcane is high delta crop that requires about 15 million acres feet of water. If it is replaced by sugar beet, it would save half of that water. 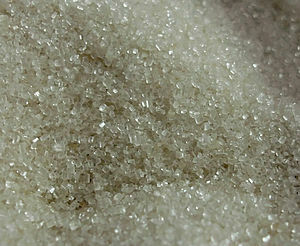 Sugar beet is useful for being a low delta crop and occupies land for 4-5 months as against 10-14 months by sugarcane. FARMERS in the Khyber Pukhtunkhwa have demanded of the government to provide them with easy and timely access to agriculture inputs so that they may sow the next crop. “With thousands of tons of wheat and maize seeds having been washed away by recent floods, there is an urgent need to procure and store substantial amount of the commodities in advance. We would like the government to provide these two basic inputs to growers free of costs as they are hardly hit,” said Murad Ali Khan, president of the Kissan Board Pakistan. For this to happen, village-based agriculture inputs/services provision centres (AIPCs) should be set up. “Agricultural inputs are the main headache of farmers. In times of need, they either disappear from the market or are too costly and unaffordable for the poor growers. With the wheat sowing season not far away, there could no better time than now to advocate the village-based setup,” said Khan. According to Niamat Shah, general secretary of the Anjuman-e-Kashtkaran Khyber Pakhtunkhwa, farmers’ income can be substantially increased if quality seeds, fertilisers, machinery, pesticides and other services are provided to them in time and on cheaper rates. “These AIPCs would be like agriculture utility stores which also would serve as store houses/marketing centres for all agricultural inputs. They will provide inputs, soft loans, guidance and training and other services to farmers at comparatively cheaper rates and in time. These are vital for capacity-building of farmers and are supposed to create linkages between farmers and public/private line departments and associations. The centres will also develop and fund some demonstration farms. The high yield of these farms will serve as incentives to other farmers,” he argued. These centres should be established on the basis of union council, Patwar Halqa or villages and should comprise all stakeholders in agriculture, i.e. farmers, livestock owners, agriculture department field assistants, patwaris, veterinary doctors, seeds/fertiliser industry and bank representatives. To minimise the chances of corruption, there should be oversight bodies over these local chapters at district and provincial levels with membership on the same pattern, he added. “The government should open a centre at each of the 986 union councils in the province. Then these bodies should be organised on Patwar halqa and ultimately on village basis to cover the entire or most of the farmers the province. These centres must function under the supervision of the provincial agriculture department,” said Shah. Every AIPC should have certified seed, fertiliser, pesticides and farm machinery, repair workshop, veterinary hospital, the latest information about various aspects of farming, branch of Zari Traqqiati Bank to disburse interest-free loans, a multimedia workshop, storage facility and a branch of insurance company for crop insurance. Finances for the centres are likely to be the most pressing issue. “But the issue could be tackled. Farmers should contribute a membership fee of at least Rs200 per head and another Rs800 as share money in the revolving funds of the bodies. This should be augmented by a matching grant by the government. This revolving fund will increase with the passage of time when invested in agriculture inputs and services that earns money. Farmers could also be provided training, guidance, credit facility to start businesses locally to earn more money for their families. Revenue collected from agriculture can/should also be spent on its development. Cooperative bank, that has been revived, should also fund these entities once these start functioning. Banks could also be asked to be a share-holder in the business,” Shah added. “So far the government has failed to streamline the seeds’ distribution. It has not been able to check and crackdown on substandard seeds in the market,” Shah said. In villages, he said, the government needs not invest that huge amounts on buildings for the purpose. Rather Hujras or empty houses, available in plenty there, can be utilised. “The AIPCs will surely modernise and commercialise the subsistence and outdated farming when expert advice, machinery and marketing support is provided to growers,” said Israr Bacha, a farmer. REHABILITATION of farmers and revival of agriculture in the post-flood Khyber Pakhtunkhwa is likely to be handicapped for want of enough funds. The cash-strapped provincial government has neither received any support from the centre nor has the international community provided the required fund for the purpose. To cope with the devastation, the PK government has asked the centre to provide an initial amount of Rs10 billion. The floods have inflicted enormous devastation. Official estimates put the losses to crops, livestock and irrigation system at Rs12 billion, Rs7 billion and Rs10.6 billion respectively. Some other sub-sectors of agriculture have also suffered loss of a few billion rupees. Murad Ali Khan, president Kisan Board Pakistan, said the flash-floods have not only destroyed standing crops and orchards in Charsadda, Nowshera, Peshawar, Swat, Dir, Shangla, Dera Ismail Khan and other districts, but also made lands uncultivable due to accumulation of mud and water. In Lakpani area of Barawal in upper Dir, hundreds of acres of agricultural land worth billions of rupees have been washed away by the ravaging floodwater. This soil erosion is likely to lead to legal fights over ownership of the farmland holding up cultivation till the settlement of disputes. The destruction of irrigation infrastructure, like the Munda Headwork that irrigated around 0.3 million acres, is also a serious blow. “With the main irrigation infrastructure destroyed and canals to remain closed for repair, there would be water scarcity for the next crops. This would mean little wheat crop,” added Ali Khan. Director Irrigation Muhammad Naeem Khan said the losses to irrigation infrastructure in all the ten major canal systems in KP amounts to Rs10.6 billion. “The department is trying its best to do the necessary repair and cleaning work to restore water availability within a month,” added Naeem. Abdur Rahim Khan, secretary general of the KP chamber of agriculture, said farms will have to be cleaned from mud and leveled for cultivation. For the purpose, the government will have to provide sufficient support. That would not be an easy task keeping in view the fact that it would require sufficient funds, machinery and personnel. The floods have also damaged the livestock sector. An official of the livestock and dairy development department said the floods have killed 0.15 million heads of animals. The farmers have been deprived of an important source of income. It would also lead to shortage and increase in prices of meat and milk. “The breaking down of the communication system prevented farmers from transporting their farm produce to markets and these decayed in trucks on way or in fields,” Khan added. The disruption in supply of vegetables and fruit to market has also resulted in food inflation. The prices of vegetables, meat, fruit, wheat-flour and other food items have increased by about 30 to 100 per cent. An official in the KP’s ministry of agriculture said that all the affected districts are the main sources of wheat and maize, fruits, vegetables, sugarcane, rice, and livestock production. The wheat subsidy is Rs14.08 billion for this year. But it may need an increase due to a drop in local wheat production and increase in the import bill. Farmers have demand that the government should immediately restore the communication system; address the critical problem of demarcation and rehabilitation of fields and irrigation network. For this purpose, the government must arrange for tractors and other field leveling machinery to the affected farmers. The escalating debt burden of farmers also needs immediate attention. Farmers need to be provided free or subsidised agriculture inputs and fodder for their livestock. Agriculture loans of farmers should be written off or at least interest thereon should be waived. Easy farm and non-farm loans should be extended to small farmers to restart their businesses. Farmers in the flood affected areas also need exemption from riverine and abiana for a couple of years. FARMERS of the vegetable and fruit-rich Swat valley estimate that the recent floods have inflicted ten times more losses than those suffered by them during militancy and military operations. July is the peak season for various fruit and vegetables produced in the valley which are known for their taste and quality. The vegetable crops, fruit orchards and walnut trees have been washed away or damaged by the devastating floods. Murad Ali Khan, president of Kissan Board Pakistan, Bakht Biland, general secretary of Kisan Board Swat, and Muhammad Naeem, president of Model Farm Services Centre Swat, were unanimous that the region had suffered huge devastations during the recent floods and windstorms. These would have serious short, medium and long-term repercussions for the subsistence farmers. “The losses to agriculture in Swat, according to our estimates, during the militancy period were around Rs28 billion of which horticulture suffered around Rs14 billion. From what we have come to know after getting feedback from farmers in the area after the floods, the losses to farmers are ten times more than those inflicted on us by years of militancy. According to our estimates, around 60 per cent of fruit and vegetable production has been lost to the floods,” said Biland. “Peaches that were at maturity stage have been washed away or dropped to the ground in most of upper Swat. With seemingly no hope of revival of communication infrastructure in the area soon, the apple production about to start, farmers may not find access to market and get wasted,” he added. “I have lost paddy crop on 102 canals of my prime cultivable land along with trees on the sides in Matta. Richer farmers can afford the losses, but where will the poor amongst us go. They need immediate relief before a vigorous plan for their rehabilitation and recovery of irrigation and agriculture is put in place,” he suggested. The floods have destroyed most of the irrigation infrastructure and it is feared that lack of irrigation water will severely hit the farmers. “Around 6,500 acres under rice cultivation have been completely washed by floods in our area. It is and will not be cultivable as the river has changed its course and is flowing through these fields,” said Naeem. “The crops that have remained safe will surely dry out soon as no water will be available for them,” he added. Naeem said they were still waiting for the compensation they had been promised earlier. “The government, NGOs and the world community will help us but the major concern should be that the aid reaches the right people. “NGOs earlier had helped but as responsible officials and departments such as agriculture department and patwaris were not taken on board and the aid didn’t reach the eligible people. This should be guarded against this time,” he added. “With no transportation is available and upper Swat areas like Kabal, Matta, Kalam etc. remain cut off from rest of the country due to land-slides. Fruits and vegetables that will be ready this month must be transported out of Swat or else they will be lost. This is unprecedented damage requiring urgent restoration of at least temporary road and bridge network,” said Khan. To ensure food supplies, as a short term measure, the government should put in place temporary and folding bridges to restore transportation networks as soon as possible. Supply of subsidised or free agriculture inputs and easy loans to farmers also needs to be addressed. Farmers take two to three crops from their fields alternatively and earn their livelihood. Water-logging and soil erosion caused by floods have deprived them of this income for this year. This inability of farmers to cultivate their fields and earn money would exacerbate their debt burden. Donors and government should ensure that agriculture losses of the destitute farmers are rightly assessed and compensated. Besides, the government should arrange for tractors and other field levelling machinery for the affected farmers. The soil erosion caused by floods has also created another problem: that of demarcation of fields. Farmers had placed stones as signs of demarcation to differentiate their farms. These signs swept away by slides and gushing water in several areas could cause problem of demarcation inflicting more financial losses on farmers. WITH the provincial revenue going up enormously following the landmark Seventh NFC Award, it was believed that the Khyber Pakhtunkhwa province would allocate sufficient funds for the development of farming sector, but no step was taken in this direction. The meagre allocations to agriculture and its related sectors in fiscal budget 2010-11 indicate that development of agriculture lies far below in the list of priorities of the provincial government. The annual development programme has been doubled and the provincial share in the ADP increased from Rs32 billion to Rs58 billion. Allocations for education, health and communication sectors have been increased by about 67, 80 and 64 per cent respectively as against the previous year to 17, 11 and 14 per cent of the ADP, the agriculture and its related sectors have not been given their due share in the budget. Though allocation for agriculture in the provincial budget has been increased by about 45 per cent to Rs1.11 billion this year from Rs796 million in the outgoing fiscal, it has virtually come down if compared with the percentage to the total outlay of ADP. Whereas the outgoing year’s allocation was 2.4 per cent of the core provincial ADP, it makes 1.9 per cent of this year’s total core ADP of Rs58 billion. Irrigation budget was Rs1.4 billion or 4.3 per cent of the core provincial ADP in the outgoing year. Though its share in ADP has been increased by about 70 per cent to Rs2.4 billion, it has decreased by about 4.1 per cent of the ADP this year. The budget for irrigation sector has been increased by about 70 per cent but it is insufficient considering the fact that the province needs to increase its irrigation infrastructure which at present cannot utilise the three million acre feet of water of its share that flows into, and is used by other provinces free of cost. This year’s budget aims at economic revival and growth, according to the white paper, but the allocations do not reflect the ambitions. Promotion of agriculture is the most effective tool for eradication of poverty and terrorism. This necessitates more funds for this sector. But the budgetary outlay for this sector reflects lack of vision and commitment on the part of the government. Traditional methods, paltry allocations and weak commitments would do no good to the sector. The government will have to opt for out of box solutions and enthusiastic pursuit to develop it. About 80 per cent farmers have no access to quality seeds, modern farm technology and increase in acreage and per acre yield which is necessary in the present circumstances, but the budget has either dealt the issues marginally or neglected them altogether. The budget speech disclosed that the government would establish model farm services centres but there were no details. Obviously, financial constraints and small membership of the bodies have restricted their efficacy. The most positive news for farmers in the provincial budget is the revival of cooperative bank and its subservient bodies from this fiscal year. According to Humayun Khan, the government would provide on billion rupees as seed money to the bank to give easy farm and non-farm loans to small farmers and rural women to increase their income. Another positive point is the Bacha Khan Poverty Alleviation Programme. The BKPAP has the potential to solve some basic problems of farmers but a meagre allocation, limited outreach and the political-orientation may reduce its impact. According to Khan, under the programme, 1700 village organisations were formed, 1567 farmers were provided quality seeds free of cost, another 3,500 were trained and 1,535 model demonstrations plots were arranged in the outgoing fiscal. The government wants to form 1,800 new village organisations, 2,600 farmers would be provided loans and another 4,000 with seeds this year. A sum of Rs501 million have been earmarked for these purposes. Livestock accounts for 50 per cent of provincial gross domestic product but it continues to be provided a meagre budget and is still being administered by the agriculture secretary. According to Khan, this year’s budget is the outcome of the comprehensive development strategy, the first ever developmental roadmap of the province for the next seven years. The CDS requires about Rs583 billion of which Rs346 billion are to come from foreign loans. The government wants to spend billions on agriculture under the CDS but the finance minister didn’t mention from where the funds would come. There is neither any special plan for livestock farmers in rural areas nor any for horizontal and vertical crop maximization. Decreasing the role and impact of the middlemen in agri-businesses has also gone unnoticed. Khyber Pakhtunkhwa and FATA have over 30 million wild olive trees. By making these trees productive, the province can produce about 75,000 tons of olive oil worth $1.5 billion annually. But this sector has remained untouched. The province has introduced several high yielding research based seeds but their faulty distribution and delayed availability are causing problem. The budget speech didn’t address this issue at all. According to Khan, the agriculture budget is meant for 84 projects worth Rs813 million for 57 on-going and Rs361 million for 27 new schemes in the sector. The department would bring another 535 acres under cultivation this year. Sprinkler irrigation would be introduced in 9,000 acres. While another 5,000 hectares would be leveled through laser technology. In irrigation sector, 64 projects- 42 ongoing and 21 new- will be completed which include construction of six small and medium dams, improvement of irrigation channel, construction of small ponds etc., which will help irrigate and bring around 50,000 acres under cultivation, but the question is are these goals realistic. In the agriculture sector, only seven of the 64 projects and in the irrigation sector 11 out of 52 projects were completed in the outgoing fiscal.